December 23 -- Wolf Petroleum Limited (Wolf) advises that the shortfall applications under the recently conducted non-renounceable rights issue of 1 new share for every 8.7 shares held, at an issue price of $0.05 per share together with 1 free attaching listed option for every 1 share subscribed for and issued (exercise price of $0.05 and expiry of 31/07/2018) (Rights Issue), was allotted to clients of CPS Capital Group Pty Ltd in accordance with the Underwriting Agreement as detailed in the Entitlements Offer Prospectus. This concludes the Rights Issue which raised a total of $1.5 million before costs. The Board is pleased to announce that, as at 4:00 p.m. on Wednesday, 17 December 2014, being the latest time for acceptance of and payment in respect of provisional allotments under the Rights Issue and for application and payment for excess Rights Shares, a total of 1,019 valid acceptances and applications had been received for a total of 19,120,688,401 Rights Shares, which comprise: (i) 566 valid acceptances for provisional allotments of a total of 5,388,049,276 Rights Shares, representing approximately 96.95% of the total number of Rights Shares available for subscription under the Rights Issue; and (ii) 453 valid applications for excess Rights Shares of a total of 13,732,639,125 Rights Shares, representing approximately 247.10% of the total number of Rights Shares available for subscription under the Rights Issue. In aggregate, they represented approximately 344.05% of the total number of 5,557,554,750 Rights Shares available for subscription under the Rights Issue. It is expected that the share certificates for fully-paid Rights Shares will be despatched by ordinary post to those entitled at their own risk on Monday, 29 December 2014. Refund cheques in respect of the wholly or partially unsuccessful applications for excess Rights Shares will also be despatched, without interest, to the applicants by ordinary post at their own risk on Monday, 29 December 2014. Dealings in the Rights Shares, in their fully-paid form, are expected to commence on the Stock Exchange on Tuesday, 30 December 2014. The Rights Issue and the Underwriting Agreement became unconditional at 4:00 p.m. on Monday, 22 December 2014. As the Rights Issue was over-subscribed, the obligations of the Joint Underwriters under the Underwriting Agreement in respect of the Rights Shares have been fully discharged. Regarding the 13,732,639,125 excess Rights Shares which had been applied for by way of application under the EAFs, the Board has resolved to allot and issue a total of 169,505,474 Rights Shares available for excess application on a fair and equitable basis and, as far as practicable, on a pro-rata basis by reference to the number of excess Rights Shares applied for under each application. No preference has been given to topping-up odd lots to whole board lots. December 23 -- This is a voluntary announcement made by Mongolian Mining Corporation (the "Company"). 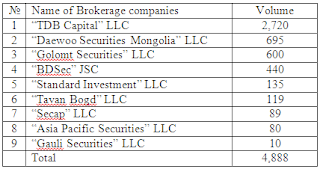 References are made to the announcements dated 31 October 2014 and 1 December 2014 issued by the Company in relation to participating in a tender process (the "Tender") of the Government of Mongolia (the "GoM") pursuant to resolution number 268 of the GoM dated 20 August 2014 ("Resolution No. 268") and submission of a bid for the opportunity to engage in coal mining, processing, transportation and exploration activities at Tavan Tolgoi coal deposit in Mongolia (the "Bid") by a consortium formed by Energy Resources LLC ("ER"), an indirect wholly-owned subsidiary of the Company, with China Shenhua Energy Company Limited and Sumitomo Corporation (the "Consortium"). The board of directors of the Company (the "Board") wishes to announce that on 23 December 2014, the Consortium received an official letter from the secretary of the working group established by the GoM for the purpose of organizing the Tender. The Consortium has been informed that the Bid was awarded the highest score based on results of the technical and financial proposals evaluation and the Consortium has been invited for negotiations with the GoM regarding the terms and conditions of an investment and cooperation agreement and such other ancillary agreements in accordance with Resolution No. 268. The Company will make further announcement(s) in connection with its conclusion of definitive agreements with the GoM and/or its designated entities as and when required under the Listing Rules or other applicable rules and regulations. Shareholders and potential investors should note that the Consortium may or may not enter into any definitive agreements with the GoM and/or its designated entities. Even if definitive agreements are entered into, completion of such agreements will be subject to satisfaction of the conditions precedent set out therein. Accordingly, the Company may or may not benefit from the Tavan Tolgoi project. Shareholders and potential investors are advised to exercise caution when dealing in the securities of the Company. December 23 (infomongolia.com) On December 17, 2014, it was reported that a workshop chaired by recently appointed Minister of Mongolia M.Enkhsaikhan hosted a meeting to select a winning investor as partner to develop Tavan Tolgoi coal deposit located in Umnugovi Aimag of Mongolia and about 240 kilometers north of the Chinese border that has 7.4 billion tons of coal reserves. Two days after on December 19, the workshop opened financial offers submitted by the two parties that overcome the thresholds to bid for Tavan Tolgoi development, which are the Consortium comprised of China's Shenhua Energy Co., Ltd., Japan's Sumitomo Corporation, Mongolia's Energy Resources LLC and America's Peabody Energy Corporation. At the introducing of these two bidders, representatives from both sides along with working group Chairman M.Enkhsaikhan, Minister of Finance J.Erdenebat, Executive Director of Erdenes Tavan Tolgoi JSC Ya.Batsuuri, who appointed as the workshop Secretary as well as representative from affiliated state and NGOs were present. Afterwards, Group Chairman M.Enkhsaikhan and Secretary Ya.Batsuuri held a meeting with representatives of the Consortium and Peabody Energy Corporation and exchanged opinions with both parties. On December 22, 2014, the winner of the tender to develop Tavan Tolgoi's both East and West Blocks was announced as the Consortium comprised of China Shenhua Energy Co., Ltd., Japan's Sumitomo Corporation, Energy Resources LLC that is eligible to establish the "Agreement of Strategic Investor as Partner for the Tavan Tolgoi Deposit" with the Government of Mongolia. The winning Consortium will be investing to develop the Tavan Tolgoi, but the Government of Mongolia will retain full ownership of the deposit. The Government of Mongolia resolved to announce a tender in 2010 and a year later 6 proposals from Consortiums and Companies out of 15 submitted participants were selected, but during the negotiation parties could not reach a consensus on investment conditions and agreement since 2011. - To construct on its own expense the fundamental infrastructure of railroad between Tavan Tolgoi and Gashuun Sukhait, and after 30 years of operation to transfer 51% of ownership to the Government of Mongolia at no cost. December 23 (Stock Ratings Network) Shares of Turquoise Hill Resources (NYSE:TRQ) saw a significant drop in short interest during the month of November. As of November 28th, there was short interest totalling 27,294,569 shares, a drop of 13.2% from the November 14th total of 31,455,559 shares, Stock Ratings Network reports. Currently, 3.0% of the shares of the company are short sold. Based on an average daily volume of 3,603,483 shares, the days-to-cover ratio is currently 7.6 days. Turquoise Hill Resources (NYSE:TRQ) opened at 2.87 on Tuesday. Turquoise Hill Resources has a one year low of $2.75 and a one year high of $4.36. The stock's 50-day moving average is $3.22 and its 200-day moving average is $3.44. The company has a market cap of $5.775 billion and a price-to-earnings ratio of 98.62. Turquoise Hill Resources (NYSE:TRQ) last released its earnings data on Monday, November 10th. The company reported ($0.02) earnings per share for the quarter, missing the analysts' consensus estimate of $0.03 by $0.05. The company had revenue of $466.00 million for the quarter, compared to the consensus estimate of $604.00 million. During the same quarter last year, the company posted ($0.06) earnings per share. Turquoise Hill Resources's revenue was up 2877.6% compared to the same quarter last year. Analysts expect that Turquoise Hill Resources will post $0.08 EPS for the current fiscal year. Turquoise Hill Resources Ltd., formerly Ivanhoe Mines Ltd. is an international mineral exploration and development company. Ulaanbaatar, December 23 (MONTSAME) At the Stock Exchange trades on Tuesday, a total of 183 thousand and 863 thousand units of 17 JSCs were traded costing MNT 434 million 669 thousand 819. "Asia Pacific Properties" /175 thousand and 260 units/, "Merex" /2,000 units/, "Khokh gan" /1,000 units/, "Genco tour bureau" /178 units/ and "Arig gal" /131 units/ were the most actively traded in terms of trading volume, in terms of trading value were "Asia Pacific Properties" (MNT 432 million 892 thousand and 200), "Tavantolgoi" (MNT 320 thousand), "Arig gal" (MNT 307 thousand and 850), "APU" (MNT 243 thousand and 815) and "Ereentsav" (MNT 200 thousand). The total market capitalization was set at MNT one trillion 405 billion 795 million 511 thousand and 136. The Index of Top-20 JSCs was 14,483.69, increasing 8.49 units or 0.06% against the previous day. December 23 (MSE) In addition, 28 weeks 4,888 Government retail bonds worth MNT 449,158,320.00 traded. 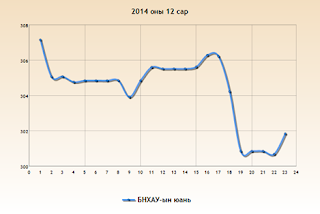 December 23 (Bank of Mongolia) On the Foreign Exchange Auction held on December 23rd, 2014 the BOM has received bid offer of 24.6 million USD at average 1865.00-1874.00 MNT and 73.5 million CNY at 300.68-302.00 MNT from local commercial banks. The BOM has declined the offers. On December 23, 2014, The BOM has received USD SWAP agreement ask offer of 115.0 million USD, MNT SWAP agreement bid offer of 5 million USD, CNY swap offer of 20 million CNY and accepted all offers. December 23 (infomongolia.com) On December 22, 2014 the regular Cabinet meeting was held and one of the issues discussed and resolved was to renew members of Mongolia's working group to establish Economic Partnership Agreement (EPA) with the Government of Japan. President of Mongolia Ts.Elbegdorj during his visit to Tokyo reached a negotiation with the incumbent Prime Minister of Japan Shinzo Abe to establish the EPA between the two countries and signed a Joint Statement on July 22, 2014. Since then affiliated organs of the two parties have been working on intergovernmental agreement coordinating the legal frames and other issues. The working group of Mongolian side has been chaired by former Deputy Minister of Economic Development, but due to recent changes in the government structure, where the Ministry is no longer exist, it was necessary to renew the group members, which was agreed at the Cabinet meeting. At the meeting, members of Cabinet heard comprehensive report on ongoing procedure of the EPA and resolved to renew the group members. According to negotiations, Mongolia and Japan agreed to establish the Economic Partnership Agreement in the first half of 2015 and therefore, the new group is responsible to accomplish preparations. Under the EPA, Mongolia to export textile products, leather products, some types of shoes and some food products at preferential tariffs, and to import advanced techniques and technology as well as introduce Japanese know-how and boost business partnership between the entrepreneurs of the two countries. December 24 (UB Post) Parliament is set to make amendments to the 2015 budget of the Mongolian government. Parliament previously approved the 2015 budget revenue at 7.15 trillion MNT (29.8 percent of GDP), total expenses at 7.59 trillion MNT (31.7 percent of GDP), and the total deficit at 439.2 billion MNT (1.8 percent of GDP). The state is expected to cut total expenses and deficit in 2015 by 100 billion MNT. The budget cut will affect the following projects. Since 2013, the state has handed out 20,000 MNT every month for children under 18 years of age. Starting from next month, the 20,000 MNT grant will be given only children who are most in need of financial assistance. Some members of Parliament stated, "We mustn't discriminate children. 20,000 MNT must be given to all. Instead of cutting the budget for children, other activities should cut expenses such as; cuting vice ministers' positions and cutting the budget for travel." But this statement was not supported by the majority. According to statistics, a total of 218.2 billion MNT was given to 990 thousand children in November from the Human Development Fund. Over a year ago, the government changed terms and policies of the monthly student stipend of 70,000 MNT. The stipend is to be given to students based on academic merit and only to schools that have a sufficient rate of employment of graduates starting next year. "The law will be implement completely starting from next year," stated Prime Minister Ch.Saikhanbileg. But experts from the education sector have pointed out that the criterion for the stipend isn't clear as some schools grade their students high even though they rarely attend classes. When civil servants retire, they get a bonus that equals to 12-36 months of their salary. The bonus has been reduced to equal 12 months' salary by the government. Over 100 billion MNT is expected to be saved through the deduction. However, civil servants who will receive bonuses that is 24 months' salary lesser that if they had retired this year believe the decision is discriminatory and unfair. The Prime Minister recently announced the new tax pool that will be formed next year. For a long time, herders have neglected on paying taxes. Starting next year, provincial governments will decide the terms and impose taxes for herders. Mongolia has over 50 million cattle. If a tax of 500 MNT is charged from each cattle, the total tax revenue will amount to 250 billion MNT per annum. In 2010, taxes on herders begun to surface in Parliament but it turned into monetary support for herders who produce wool and cashmere. The support cost the government over 20 billion MNT each year. The uniform budget of state employees, except police, emergency management agencies, customs officers and soldiers, will be cut to reduce inefficient expenditure. Organizations such as, social insurance and tax collectors will not be required to wear uniforms. The government originally wanted to cut 11 thousand government positions to cut expenses. But the decision was not supported by the cabinet as job cuts will require 38 billion MNT for layoff settlement. Honored mothers, who receive a yearly grant of 100,000 MNT to 200,000, will only receive their grants if their children are under 18 years of age starting next year. Mothers who received honorary medals receive grants for a lifetime, even after their children became adults. December 24 (UB Post) News.mn spoke with Minister of Finance J.Erdenebat about the current economic situation, solutions, and future plans of the ministry to overcome the economic crisis. The Mongolian People's Party (MPP) opposed increasing the debt ceiling, but there are rumors that the debt ceiling will be increased. Could you give our readers an official explanation? I didn't say that the debt ceiling will be increased. As for the preliminary data, the debt ceiling is 49.9 percent, which means that it has already exceeded its limit according to the law on budget sustainability. And it might reach 53 percent by the end of this year, because of the changes in exchange rates and interest rates. The MPP is trying hard to avoid increasing the debt ceiling. We have to find solutions on better debt management, and policy to reduce debt to 40 percent of GDP. But now the debt ceiling has exceeded 50 percent, so it might take some time to lower it. It might take four to five years. As of today, it's impossible to lower the debt ceiling to 40 percent to suit the law. Is a decrease possible next year? The current state budget is to be approved with seven trillion MNT. If we want to reduce it to 40 percent of GDP, we will have to cut two trillion MNT to meet legal requirements. In order to do this we will have to repay commercial bonds and commercial loans. We have to improve debt management and change debt structure. Up until now, we have been paying debt through high interest commercial loans and we also took on high-cost bonds from foreign countries. In this situation, the service costs increase. We are discussing the possibility of changing these loans to long-term concessional loans. Some parliamentarians believe that if we don't take more money from overseas, the economic situation will get worse, while others believe that the most important thing is to not add to the nation's debt. How do parliamentarians see this issue inside the government? People are expressing various positions, but we have to seek all possible opportunities. For example, we should increase the resources of the credit guarantee fund and create an investment fund. Projects and programs are being funded mainly through commercial loans. We can change loan conditions to mitigate the service expenditures. Instead, we can invest through long-term, low interest loans. We could involve investment organizations in these efforts. Some people say that it's possible to transfer debt to private sector projects implemented through bonds and release bond investment. Do you think it's possible, as the Minister of Finance? Yes, some people believe this is possible, but it's not, because we can't transfer these loans. If so, the private sector would demand a government guarantee, but there are solutions available without government guarantees. We are studying all possible solutions. The MPP strictly stands against amending the law on budget sustainability, because of the debt ceiling and budget deficit. However, the law is already being violated, so we have to make plans to fix it as soon as possible. Can you say how long it will take to survive the economic crisis? We are processing debt management. We will be able to repay loans within their terms, if we can improve the economy. After three or four years, we will see the possibility of mitigating debt to 40 percent of GDP. First of all, it's important not to increase the economic growth, but of course, we will try to decrease the debt within a year or two to follow the law. December 24 (UB Post) The USD to RUB exchange rate fell by some 45 percent this year due to the drastic decline in global oil prices and the prolonged crisis in Ukraine. The exchange rates of the RUB and MNT have shown some similar characteristics. At the beginning of 2014, one RUB equaled 51 MNT, but now stands at 33.8 MNT. Although the reasons and factors for decline are different, the foreign exchange reserves of both Mongolia and Russia have been exhausted as the currency value has dropped. The value of the MNT against primary currencies exchanged (USD, EUR and CNY) has fallen by nearly 30 percent since the beginning of 2014, weakening the purchasing power of residents. Even Russia hasn't been able to escape rising prices and public discontent over current fluctuations. Russia reported that they've made interventions of over 30 million USD from the start of 2014 until November 10. A few days ago, they spent 1.9 million USD in a single day. Intervening measures being taken by the Central Bank of Russia aren't showing results and the exchange rate of the RUB continues to drop. On December 22, oil prices in the global market rose slightly, reverting back to over 60 USD per barrel. This brought the first good news in a long time to Russia, as the USD to RUB exchange rate increased by 3.6 percent and EUR to RUB by 4.5 percent. On the same day, China expressed its readiness to support Russia in overcoming the crisis. While some experts and economists believe that the fall of the RUB exchange rate will not last long, some estimate the current USD exchange rate of 56.33 RUB to skyrocket to 150 RUB by February 2015. How will the RUB affect Mongolia? Besides fuel importation, Mongolia and Russia conduct major trade. The two countries were able to conclude a visa-free regime between Russia and Mongolia in November and set higher goals for expanding cooperation in trade. Regarding the initial task to develop a swap agreement for currency between the central banks of Russia and Mongolia and negotiating trade in RUB, changes to the RUB exchange rate are becoming more significant for Mongolia. If fuel payment is finalized in RUB, Mongolia will be able to not only save up to approximately 1.4 million USD spent annually on fuel payment, but it will also be able to lower fuel prices. Some economists and experts clarified how the fall of the RUB will benefit Mongolia. Trade between Mongolia and Russia isn't that small. Mongolia imports many products from Russia. Almost 100 percent of Mongolia's petroleum products are imported. The cost of imports will decrease as the RUB exchange rate falls by 40 percent, meaning that the price of petroleum products and equipment for mining and other sectors will drop. Secondly, it's possible for the price of vegetables coming from Russia to decrease. Simply put, it's a positive change for Mongolia. It's very beneficial to traders since a visa-free regime has been in place since November 14. Russia is taking effective countermeasures against a RUB exchange rate decline, so the crisis will not last long. Mongolian importers, particularly, petroleum importers, can benefit during this short period. Petroleum product prices are dropping globally. Yet, the retail price of petrol isn't dropping domestically. Conditions for the price to drop by 10 to 20 percent are already complete. It was even mentioned by the parliament. Unfortunately, the price hasn't dropped. Neither the government nor the Ministry of Finance is investigating suitable petrol prices. As the market price drops, wholesale and retail prices for import products should decrease. In the market, petroleum product prices fell by 40 percent. On top of that, the RUB exchange rate weakened by some 40 percent. Under such conditions, petrol prices should be lowered. Just like how petrol prices increase when international market prices increase, petrol prices should be reduced when international prices decrease. The RUB exchange rate's rise and fall can be regulated if the two countries begin negotiating a swap agreement. Current conditions of the RUB have both benefits and drawbacks. For example, purchasing petrol in RUB will become beneficial. America has pursued a policy on developing USD as the main global currency for a long time. If Mongolia wishes to reduce its economic dependence on USD fluctuation, it'll be better to conduct foreign trade, particularly for petrol, in RUB with Russia. I don't think RUB exchange rate changes will directly affect the economy of Mongolia. 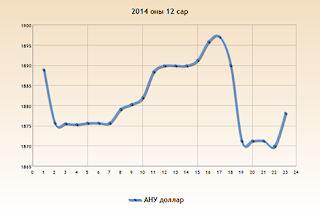 The fall of the RUB exchange rate is good for Mongolia's economy. It only means that Russian income is decreasing. As for us, prices of imports are becoming cheaper and our options and alternatives are multiplying. Opportunities for Russia proposing cheaper prices than China are becoming available. If the MNT exchange rate increases while the RUB rate drops, Mongolian foreign trade will gain a huge advantage. The same goes for a swap agreement. RUB fluctuation is more beneficial for Mongolia because the country that's losing more will give up more money, even if both countries generate the same amount of currency. 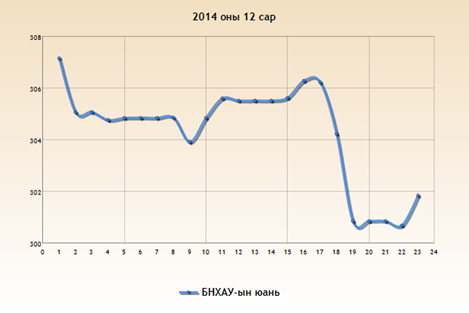 Mongolia will gain more as the RUB exchange rate falls. Purchasing petrol with RUB is relatively more beneficial to Mongolia. Compared to USD, observations show that the exchange rate of the MNT and RUB will be more stable. The falling RUB exchange rate is profitable for both import and export. I see that it will become a big advantage for Mongolia, which has limited foreign trade because the economy is too dependent on USD. Ulaanbaatar, December 23 (MONTSAME) On Tuesday, the parliamentary Standing committee on state structure discussed a matter on electing its head. Majority of the committee considered as necessity to elect the incumbent head A.Bakei MP who has been offered by the faction of the Democratic Party (DP). Apart of electing the new head, the Standing committee postponed a discussion of a bill on public hearing, initiated by the President. Ulaanbaatar, December 23 (MONTSAME) Head of the Cabinet Secretariat for Government S.Bayartsogt Tuesday submitted to the Speaker of parliament Z.Enkhbold names of nominees for the national council of the Public Radio and Television's membership. Enkhbold Zurgaanjin and Zolbayar Baast are nominated for becoming members of the Mongolian National Public Radio and Television. Ulaanbaatar, December 23 (MONTSAME) A member of the State Great Khural (parliament) D.Khayankhyarvaa was elected as deputy head of the Mongolian People's (DP) in accordance with a decision made at the DP faction meeting held Tuesday. D.Khayankhyarvaa replaced D.Oyunkhorol MP, who recently has been elected as the Minister of Environment, Green Development and Tourism. In addition, the MPP faction decided at its meeting to nominate S.Batbold MP for the position of head of the parliamentary Standing committee on environment, food and agriculture; J.Enkhbayar MP--head of the Standing committee on security and foreign policy; and J.Batsuuri MP--head of the Standing committee on economy. December 23 (infomongolia.com) At the Cabinet meeting held on December 22, 2014, it was resolved to move a working day of January 02, 2015 that falls on Friday to next Saturday, January 10, 2015. According to Labor Law of Mongolia, Article 77.3, it is cited if a public holiday falls on any day close to weekend, the Cabinet is authorized to make changes. Therefore, Mongolians to have a four-day holiday through Thursday and Sunday, because the January First as celebrated as public holiday falls on Thursday in 2015. Moreover, the December 29th is also a public holiday commemorates as the Independence Day and this year, the day occurs on Monday, thus working days next week are Tuesday and Wednesday only. December 24 (UB Post) A dialogue between Mongolia and China concluded last week in Beijing, China to underscore effective cooperation. Chinese President Xi Jinping visited Mongolia a few months ago and developed complex strategic relations between the two countries and expressed his willingness to extend friendly relations and cooperation. Strengthening friendly relations and establishing the Silk Road; Participation and responsibilities of Mongolia and China in the development complex strategy relations; and Mutually beneficial cooperation chances of establishing the Silk Road. A recent survey showed that the population of Mongolia, Russia and China occupies 21 percent of the world population. It is a big market that is highly possible to extend trade and economy. 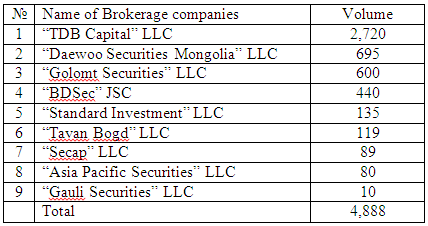 Mongolian geographical position gives a possibility to connect these big markets. Moreover, Mongolia has the potential to connect the two great markets. Since the Hunnu Empire, the Silk Road was the connective path for tea trade. Even though China and Russia have trade roads that reach some European countries, it is quite costly to conduct trade. For example, it takes 40 to 50 days to deliver products from China to Russia. But, if trade is conducted throughout Mongolian territory, only a week is required to transport goods. Therefore, Mongolia plan to build three roads that connect the Silk Road. The road from Ulaanbaatar – Erenhot – Altanbulag checkpoint is being discussed and the road through Khovd Province is at 80 percent completion. The completion of these roads are expected to connect the Silk Road, which is estimated to require six months. Experts believe that the establishment of these roads will drastically boost the economy. During the dialogue, delegates proposed to involve experts and personnel from both countries in the development project. The Chinese party expressed their willingness to cooperate in any sector Mongolia wishes. It was noted that the Chinese part is paying significant attention to the dialogue. The Chinese delegation included decision makers, heads of regions, research workers and businesses. In contrast, there were no decision makers from Mongolia at the dialogue. A Chinese petroleum exploring company, airport construction company and road companies presented their activities to Mongolian delegates and expressed their interest in cooperation. They proposed to assist Mongolia in short-term projects that will have impact on Mongolians' lives. A Chinese company proposed to build a highway connecting Khushigiin Khundii Valley, where a new airport is being built, to Ulaanbaatar. Although the road will be built through a concession agreement, the road company requested Mongolia to sign an agreement within this month to start the work earlier. China also proposed to open Naran Suvst checkpoint in Govi-Altai and Bayankhongor Provinces. They noted that trades worth six million Yuans used to be conducted through the ports and the possibility should be reopened. President of the Peace and Friendship Organization of Mongolia D.Zagdjav commented, "China recommended ideas to centralize funds by improving small and medium enterprises with cooperation of Chinese entities. Mongolia's neighbors are rich countries and so is Mongolia. We need to start properly and reach accurate solutions. I understand that one development solution is to improve cooperation with neighboring countries." Ulaanbaatar, December 23 (MONTSAME) On the Cabinet meeting of December 22, the Minister of Road and Transport N.Tomorkhuu gave a status report on the implementation of "Ulaanbaatar Logistics Center for Mixed Transport" project. He said that pre-feasibility study has been developed on the building of railroad connecting the new airport which is being constructed in the Khoshig valley to the station of Maanit. This connection is called "Bogdkhan" railroad. Transit and other freights will be carried by this new railroad and the rails within Ulaanbaatar will be used for public transport. Ulaanbaatar Logistics Center for Mixed Transport is to be erected in front of the new airport, occupying a space of 400 hectares. 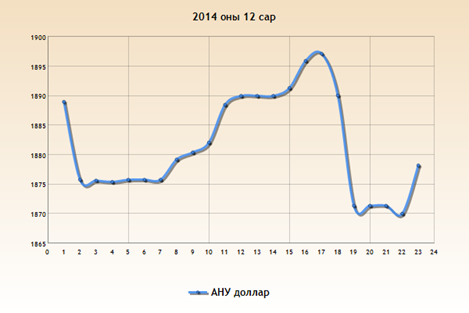 December 23 (news.mn) Thermal Power Plant IV has successfully carried out a project to increase its power capacity. The power plant will be able to provide 250,000 new households with electricity and 15,000 households with heating in Ulaanbaatar. City administrators believe that the city will have an efficient source of electricity and heating across the city through 2017. The new turbines installed were funded by 70 million MNT from the government budget and Development Bank of Mongolia. It is estimated that it the plant will earn an annual 25.8 billion MNT in real income for the state budget due to tariffs currently set. CEO of Thermal Power Plant IV State Owned Company J.Osgonbaatar said that the Thermal Power Plant will cover the cost of investment within 4 to 7 years. The extension of Thermal Power Plant IV involved over 300 staff, including 150 Russian specialists, and required the installation of over 350 pieces of equipment and facilities with the help of 71 heavy machines, 55 wagons, and planes. December 23 (infomongolia.com) In 2012, the Government of Mongolia issued a Decree by amending working hours of all state entities in Ulaanbaatar to start at 8 o'clock in the morning and finish at 05:00 pm. Also, all secondary schools and kindergartens have been starting at 8 o'clock as well as Universities and Institutes at 09:00 am in order to decrease traffic flow on the city road. Since the implementation of this regulation, the Capital City Citizens' Representative Khural (City Council) has requested to make flexible schedule and thus, at the latter Cabinet meeting, members authorized the City Council to regulate starting and finishing working hours of state and public entities locate in Ulaanbaatar. December 23 (news.mn) New Minister of Food and Agriculture R.Burmaa met Ambassador Extraordinary and Plenipotentiary of the Czech Republic to Mongolia Ivana Grollov to discuss the expansion of relations between the two nations. Minister R.Burmaa noted that bilateral relations and cooperation between Mongolia and the Czech Republic have seen a boost and success in multiple fields in the past two years, since Grollov has been appointed as ambassador, and was thankful that Mongolia-Czech bilateral cooperation under an intergovernmental commission focused on animal husbandry has advanced. Ambassador Grollov said that the government of the Czech Republic has successfully conducted agricultural and animal husbandry projects in Mongolia and private sector projects in collaboration with Altan Taria, Vitsamo, and Talkh Chiher, and expressed thanks for the efforts of the Government of Mongolia. The parties agreed to work together closely, focusing on project completion and promotion and maintaining project results from both sides. Ulaanbaatar, December 23 (MONTSAME) The Deputy Prime Minister U.Khurelsukh Tuesday received Ms Piper Anne Wind Campbell, the Ambassador Extraordinary and Plenipotentiary of the USA to Mongolia. Beginning the meeting, the Deputy PM said that Mongolia has formed new cabinet after reaching an agreement on it by political parties at the State Great Khural (parliament) in times of current economic difficult times, and added that Mongolia is always thankful to the US government and people for rendering support since transmitting into the democracy and market economy system. The bilateral relations and cooperation have been successfully developing, he said. The Millennium Challenge Corporation's programme is one of the many programmes and projects successfully implemented by the US government, the Deputy PM emphasized, and expressed his satisfaction with choosing Mongolia to realize the MCC's programme again. In response, the US Ambassador thanked the Deputy PM for an audience, and said she is confident that that the newly-formed cabinet will continue its active cooperation with the US government. Ulaanbaatar, December 23 (MONTSAME) The Deputy Premier U.Khurelsukh Tuesday received Mr Wang Xiaolong, the Ambassador Extraordinary and Plenipotentiary of the People's Republic of China to Mongolia. The Mongolia-China relations and cooperation are developing in its important period, Khurelsukh said, and underlined Mr Wang Xiaolong has significantly contributed to bringing the ties into the present level. He emphasized an importance of realizing works which were concurred during the state visit of the PRC President to Mongolia. "The trade and economic cooperation is a pillar of the friendly relations between our countries. It is necessary for both countries to make efforts for intensifying implementation of the biggest economic projects and for improving a structure of the bilateral trade," Khuresukh said, underlining a priority of developing the collaboration in the infrastructure, mining and transit transport sectors. The Ambassador supported the Deputy PM's views, and pointed out the countries are necessary to maintain a frequency of high-level mutual visits. He said that the government of China is ready to cooperate with the new cabinet of Mongolia. Ulaanbaatar, December 23 (MONTSAME) The Vice Minister of Foreign Affairs N.Oyundari Monday received Mr Wang Xiaolong, the Ambassador Extraordinary and Plenipotentiary of the People's Republic of China (PRC) to Mongolia. The Ambassador congratulated Ms Oyundari on being appointed as the Vice Minister of Foreign Affairs of Mongolia, and exchanged views on the bilateral relations and the collaboration between the Ministries of Foreign Affairs. Indian and Mongolia border forces recently discussed defense cooperation. December 23 (The Diplomat) Late last week, India and Mongolia agreed to increase their cooperation on defense matters with India promising to help Mongolia increase its capabilities in the areas of special operations, cyber security, bomb disposal, and tactics. A Mongolian delegation traveled to New Delhi to meet Indian Home Minister Rajnath Singh. The Mongolian delegation was lead by the Head of General Authority on Border Protection (GABP) of Mongolia, Brigadier General Lkhachinjav. The two countries further stated that they would increase cooperation to prevent transnational crime, according to reports in the Indian press. The Indian delegation included senior officials from the Indian Border Security Force (BSF). Singh told the Mongolian delegation that the two countries ought to cooperate in the interest of increasing the "effective prevention and detection" of terrorism and crimes including drug trafficking, smuggling, and illegal arms trading, according to the Business Standard. Singh emphasized the commonalities in the terrain where the Mongolian GABP and Indian BSF operate. Singh also noted that the two forces could conduct joint exercises in the future to increase operational, training, and technological exchange. No specific date was set for these exercises. Though India and Mongolia have had diplomatic relations for some 60 years, the scope of their bilateral cooperation, particularly on security and defense issues, remains limited. Reports in the Indian press are eager to note that both India and Mongolia share borders with China (something the Indian minister mentioned during his remarks to the Mongolian delegation). The inference to be drawn is that India's offers of assistance to Mongolia could be directed at countering China's influence over the landlocked Northeast Asian state. This, however, does not square with the current state of affairs between Mongolia and China. The two states continue to increase their bilateral engagement, and their trilateral cooperation with Russia most recently. Mongolia's increasing cooperation with India, rather, is likely the product of a broader international push by the current government under President Tsakhiagiin Elbegdorj, a leader known for his foreign policy activism. For India, approaching Mongolia on defense cooperation is a natural part of its "Look East" policy which aims to develop closer relations with East and Southeast Asian states. The Indian government under Prime Minister Narendra Modi set out to recast this policy as the "Act East" policy, indicating a greater desire for actionable deliverables in India's diplomacy with these countries. The recent agreements with Mongolia should be seen in this context. Ulaanbaatar, December 23 (MONTSAME) The Cabinet meeting on December 22 approved to present the issue of establishing diplomatic relations with the Republic of Uganda, the Republic of Rwanda, the Federated States of Micronesia, the Republic of Haiti, Sovereign Republic of Kiribati, the Republic of Equatorial Guinea, the Republic of Chad, and the Republic of Mauritius. Pursuant to Mongolia's proposals to establish diplomatic ties with 45 countries, such relations were established with 24 countries within the last three years. Today, a total of eight countries have accepted Mongolia's requests to establish the diplomatic relations that have been submitted through the Embassy in Beijing and the Diplomatic Mission in New York. These events are taking place in accordance with the direction given for the Parliamentary Standing committee of security and foreign policy in order to expand the country's foreign interactions. This was has been reflected in the Concept of Security, the Concept of Foreign Policy and in the Government Action Plan for 2012-2016. Ulaanbaatar, December 23 (MONTSAME) Officials of the state authorities have been celebrating new years on their own expenses since the first issuance by the Government that outlined obligation towards economizing the state budget. The direction will be observed this year as well. The budget administrators was obligated on the Cabinet meeting Tuesday not to publish greeting cards in frames of marking the New Year, organize concerts and lottery with expensive costs and not to purchase alcoholic drinks at expenses of the state budget. December 24 (UB Post) The Mongolian government resolved to award and recognize the three millionth citizens of Mongolia on January 4, 2014, with awards and benefits valued at more than 950 million MNT. The National Statistical Office of Mongolia estimates that the three millionth citizens will be born in January 2015. Provinces and district will each identify one contemporary baby born in their presiding area close to the time the three millionth citizen is born in Ulaanbaatar. The three millionth citizens of Mongolia will be awarded an apartment or monetary rewards equivalent to 70 million MNT and contemporary babies will be issued three million MNT. In total, 958 million MNT will be spent from the government reserve fund. The governors of 21 provinces and nine districts are responsible for issuing an apartment to the children selected as contemporaries of the three millionth citizen. December 24 (UB Post) The following is an interview with B.Amarsaikhan, who is the first Mongolian actor to set foot into Hollywood by starring in the 90 million USD drama series "Marco Polo". He signed a contract with Netflix Inc. for the role of Arig Bukh in the currently ongoing drama series created by John Fusco, "Marco Polo". Netflix is an American provider of on-demand internet streaming media available to viewers in North and South America, the Caribbean and parts of Europe. Congratulations on becoming the first Mongolian actor to enter Hollywood. How was the premier of "Marco Polo"? The premier of "Marco Polo" original series took place in New York on December 2. Actors from many different countries gathered at the red carpet and attended a huge party in the evening after the premier. The red carpet is focused on photographing stars. Photographers ask you to look here and there and make different poses. I felt as if I had become a model. You often see actors and entertainers talking about their outfit at the red carpet. It can be said that this event has become a large custom or tradition. How is the red carpet of Mongolia different from Hollywood's? In Mongolia, people can walk on the red carpet and enter a building straight away. In Hollywood, you get specific directions on where to pose and get photographed. Sometimes, I had to pose alone and sometimes, with my wife. At the premier, only the author and director stood on the stage while actors sat down. In Mongolia, everyone has to stand on the stage. There were many aspects that should be focused on in the future. The Executive Director of Netflix Inc. took photos individually with the actors. After the premier, I went to Los Angeles to meet and report on my work to my agency. Can you tell us about your agency? How did you get connected to the agency? My agency is called UNEW, abbreviated for United Nations East West. The agency helps actors from Asia step into Europe and Hollywood, and vice-versa. Many entertainers from South Korea and China were introduced to Hollywood by UNEW, such as Lee Byung Hun (G.I. Joe series). I devoted an immense amount of time and effort to connect with this agency. Actors from all around the world try to enter this large organization. I did everything I could do to get their attention. After drawing up an acting contract, the agency recommended "Marco Polo" series. UNEW worked hard to get me Arig Bukh's role and I had to travel back and forth to Malaysia for four months to pass several auditions. It may seem like a simple audition from the outside, but it's actually a fierce competition full of rivalry. After hearing that I got the role, the agency celebrated in Los Angeles while I celebrated in Mongolia. A few weeks ago, the agency congratulated me on successfully performing in the role and I made an official report of my work. At the red carpet, you wore a traditional Mongolian deel. Who did you consult about your outfit and why did you choose that specific outfit? Besides including actors from over 30 countries, the series is about the history of Mongolia. It was only right that I wore a traditional deel and my Mongolian representative agency, Amin Shiidel PR, recommended I do so. Considerable consideration, effort, and participation from many people lies behind my appearance on the red carpet. I wanted to promote Mongolian deel and the best Mongolian brand by wearing a deel made of cashmere from Gobi Cashmere, hat from Burkh Company, shoes from Best Shoes Company, and accessories from Mongol Costumes Company. The outfit I wore at the evening reception was prepared by a B.Bayarmaa from Monsonics Company. She is a talented designer, globally recognized by her Bayarmaa Brand. Designer of Gobi Cashmere E.Battsetseg, who designed our deels, became the best designer at a Goyol fashion show in Mongolia. Mongolian model working in the USA as a stylist S.Ijiltsetseg worked as our stylist. Many Mongolians living in the USA welcomed us at the airport, including President of Mongolian Democratic Socialist Youth Association L.Oyun-Erdene and designer Nomin. I was warmly received by Permanent Representative of Mongolia to the U.N. O.Och and his spouse J.Tsolmon, as well as S.Aruinaa, working at one of the largest museums of the world, the Metropolitan Museum of Art. They all attended the premier. Everyone gave a lot of attention to my participation at the red carpet and supported me considerably so that I could prove that Mongolia is as great as any other country. From the many actors from different countries, did anyone else wear traditional clothing? Deel wasn't very interesting to fellow actors since they're wearing them in the series, right? My wife and I were the only ones wearing traditional clothing. Fellow actors must've been fascinated to see modern designs of Mongolian deel they've been wearing during filming. I would've probably worn a suit if I played in an action or adventure film. As it is a series about the history of Mongolia, I felt wearing deel was the best choice. Is it true that your introduction at the premier was more special than other actors'? How are premiers for drama series different from film premiers? Actors were introduced by their roles. When they introduced me, they said they were very happy to introduce me and that I was Amaraa, an actor from Mongolia. Mongolians who were present mentioned that my introduction was special, but it's probably because it was a series about Mongolia. As for the premier, just like a film premier, the first two episodes of the series was shown in the cinema. Most foreign historic films about Mongolia received criticism. Do you think "Marco Polo" will also receive negative comments? Everything depends on how the artist wants to portray their work. I don't know how this film will continue. I know for a fact that John Fusco wrote his script after researching in detail. Sometimes, I complained that some events and costumes weren't accurate but he said that he's portraying how Marco Polo saw Mongolia and the rulers. So, the series will be filmed in that manner. The series is an artistic and commercial script so there will be some exaggerations and imaginative aspects. I can notice that John Fusco did a lot of research for some of the scenes. For instance, he noticed that Mongolians communicates and expresses their agreement or disagreement through words like "thh", "hnn", and "mmm". He tried to display this in the series. I think "Marco Polo" will be different from other films since it was created by a person who did heavy research. Watching the first few episodes, the Mongolian music, costumes, headwear, and other accessories seem very accurate. Is there a Mongolian advisor for the series? A president of a travel company, Byambaa, is working as a cultural advisor. John Fusco met him many years ago during his trip to Mongolia. Fusco focuses on portraying Mongolia's traditions and customs properly. He even dedicates a day of the week as "Mongolian Day" for introducing necessary information about Mongolia to actors. No wonder the series is different from other films. Do actors researching about their roles ask you about Mongolia? Of course. During my stay there, I tried to teach even the littlest details to as many people as possible, starting from how to properly sit in gers, how to play Mongolian traditional games with angle-bones. I helped with the pronunciation of words that aren't translated to foreign languages such as airag and borts. Foreigners pronounce Chinggis Khaan as Jinghis or Genghis, but in the film it will be pronounced properly as "Chinggis". This is all because a Mongolian actor starred in the series. It was awkward at first but later, the crew got closer and they started inquiring about small things. You are only in the first two episodes. Don't you think your role ended too soon? The first antagonist in the series is the enemy of Khubilai, Arig Bukh. Script writers also said that Arig Bukh's role ended too soon and wanted to find ways to bring him out again. They even talked about making him appear in Khubilai's nightmare. I don't know how the script will continue. Currently, the script for the third season has been completed. December 22 (DW) When Saruul Fischer came to East Germany from Mongolia at the age of eleven, she could not have known how important her homeland would be to her in the future. She stayed there after the fall of the Berlin Wall, went to university, married and had children. Struck by a yearning for her homeland, she began developing an idea for the fashion label "Edelziege". December 23 (news.mn) Petrified dinosaur eggs were discovered this past September in Zuunbayan in Sainshand sum of Dornogovi Province. All 15 fossilized dinosaur eggs were found by road workers from Dornogovi AZZA. The amazed road workers did not report the findings right away. The workers sent the news about the fossilized dinosaur eggs to the Dornogovi Province museum last month. It is still unknown what species the eggs belong to. December 23 (infomongolia.com) At the Cabinet meeting held on December 22, 2014, it was agreed to celebrate nationwide the 70th anniversary of the Historical Victory of the Liberation War as marked the end of World War II in 1945. Mongolia will celebrate the 70th anniversary of the victory across the country in 2015 and this great occasion is considered by scholars as Mongolian-Soviet troops played a decisive role in the victory of the war to stop alien invaders in Asian region. In this sense, the 70th anniversary of the Victory of the Liberation War is a joint commemorative event and efforts of Mongolian, Russian and Chinese people and soldiers of the Armed Forces. Welcoming the anniversary, Mongolia will carry out several measures to perpetuate soldiers merit contribution and the value of the victory as well as honoring veterans and their patriotism, also, to organize set of measures to conduct promotional events, release Jubilee Medal and stamps. Moreover, Mongolian Government officials led by the President Ts.Elbegdorj are invited to participate in the Grand Parade dedicated to the 70th anniversary of Victory in the Great Patriotic War 1941-1945, which will be celebrating at Red Square in Moscow in 2015.